New copy of Batman Illustrated Vol. 1 Hardcover from Marvel Comics. US$36.90 which includes shipping with USPS Media Mail within the continental United States. Orders placed before 4PM EST ship same-day. Published: October 1, 2003, Original Cover Price: $49.95 1st printing. Over the years, many artists have contributed to the look of one of the most iconic characters in popular culture: Batman. 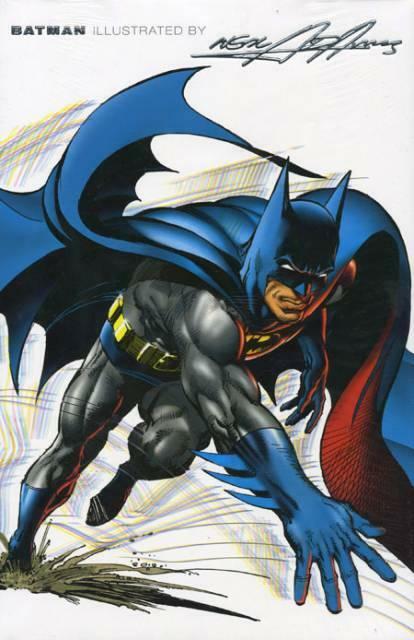 The most influential and popular may be Neal Adams, who in the late 1960s put the Dark Knight back in the shadows and updated his image for a new generation of fans. Now, for the first time, all of Neal Adams's Batman work — covers and stories — is being chronologically collected in three volumes, the first of which debuts in September! This extraordinary hardcover features Adams's contributions from 1967 through 1969, and shows the process of introduction, adaptation, and innovation that the young artist brought to this legendary crime-fighter. Along the way, Adams also illustrates many other DC heroes, including Superman, The Flash, Aquaman, and The Teen Titans, as well as his signature character, Deadman. When Adams burst onto the scene in the 1960s, his sense of design, color and realism not only helped influence a generation of artists and excited fans, and also inspired many writers to new heights of creativity — including Bob Haney and other writers showcased in Volume 1. Adams provides a new cover and introduction, and has gone back to tweak some of his early art and re-color five of the eight stories presented here. Hardcover, 240 pages, full color. Cover price $49.95. This item is brand new and packed in plastic.